Dr. Howard Moskowitz is both a well-known experimental psychologist in the field of psychophysics and an inventor of world-class market research technology that is employed to create new product categories, product segments, and brands that measurably add to a company’s revenue and profitability. Among these are billion dollar brands such as Chunky Tomato Sauce (see Malcolm Gladwell’s TED talk), the GoodYear AquaTread tire, the first Braun electric toothbrush, and Vanilla Dr. Pepper. Dr. Moskowitz graduated Harvard University in 1969 with a Ph.D. in experimental psychology. Prior to that he graduated Queens College (New York), Phi Beta Kappa, with degrees in mathematics and psychology. He has written/edited twenty-six books, has published well over 400 articles and serves on the editorial board of major journals. 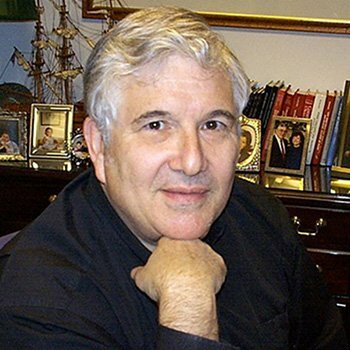 Dr. Moskowitz has won numerous awards, among them the Scientific Director`s Gold Medal for outstanding research at the U.S. Army Natick Laboratories, and the 2001 and 2003 awards by ESOMAR (European Society Of Market Research) for his innovation in web-enabled, self-authored conjoint measurement, and for weak signals research in new trends analysis and concept development. Dr. Moskowitz is an IFT Fellow, an awardee of the “David R. Peryam Award” from ASTM, the Charles Coolidge Parlin Marketing Research Award, the ARF Research Innovation Award, The Market Research Council Hall of Fame Award, and in 2010 the Walston Chubb Award for Innovation in Science bestowed by Sigma Xi, the scientific honor society.